Traditional collar with hidden brand logo lettering through the inside. Full front snap button-up placket. Brand embroidery at bottom right. 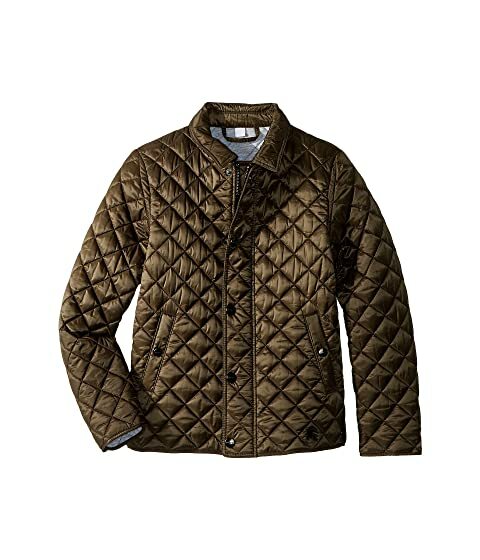 We can't currently find any similar items for the Lyle ABOYG Outerwear (Little Kids/Big Kids) by Burberry Kids. Sorry!